Ohio may not be the first destination that comes to mind when you think of castles, but the Buckeye State boasts several properties fit for royalty. Whether you’re looking for castles in Ohio that the entire family can enjoy on a fun day out with the kids or something that’s best reserved for a romantic getaway with your knight in shining armor, we have recommendations to fit both occasions. 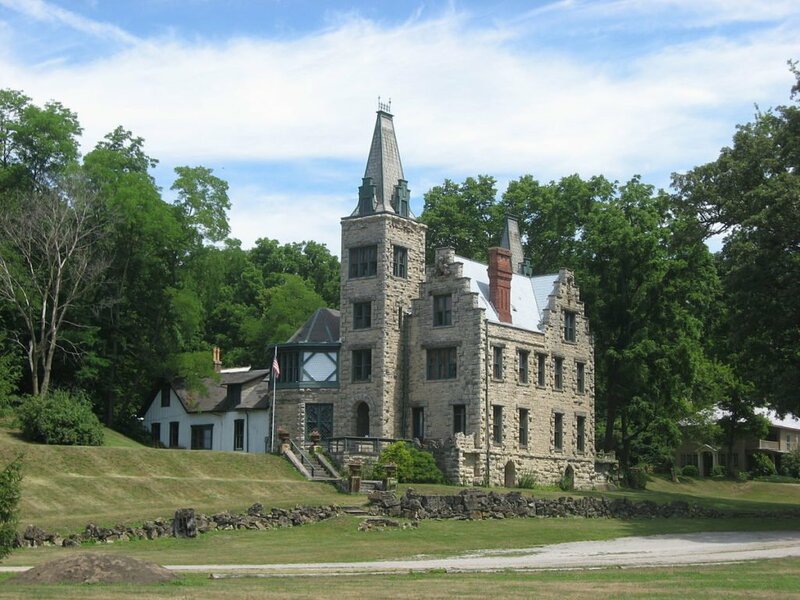 Squire’s Castle is located in the North Chagrin Reservation which is part of the Cleveland Metropark System. It was constructed in the 1890’s by Feargus B. Squire, an executive with the Standard Oil Company, to be used as a gatehouse for his future estate, which was never built. In 1922, he sold the property and in 1925, ownership passed to the Cleveland Metroparks. The property is open to the public free of charge. You’ll find hiking trails, and picnic tables making this location an ideal place to get outdoors and relax on a beautiful summer or fall day. The Piatt family were descendants of French Huguenots and journeyed to America to escape religious persecution. Eventually the family moved to Ohio and settled in Logan County. Two brothers, Donn and Abram, built two three-story castles, Mac-O-Chee and Mac-A-Cheek, ¾ of a mile apart from each other. Today you can travel to Central Ohio and take a self-guided tour of 19th century properties and view the eccentric collections of the original homeowners. 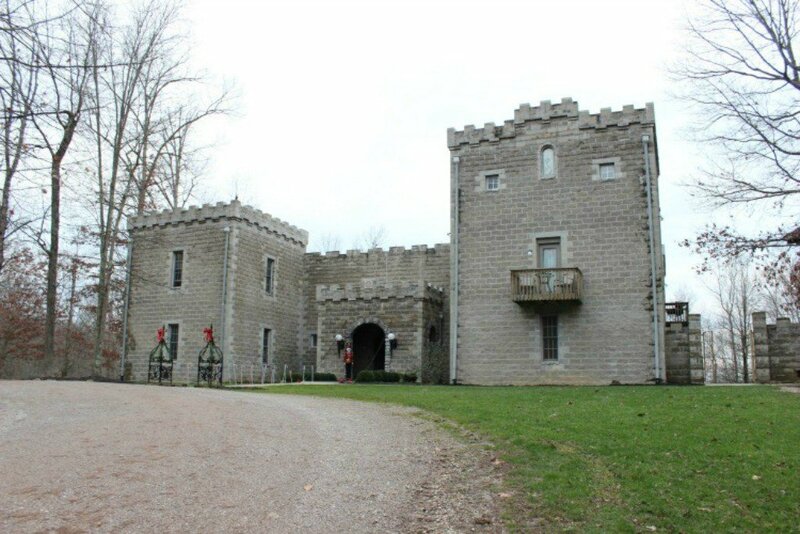 Harry Andrews spent most of his life building Chateau Laroche, or Loveland Castle, along the banks of the Little Miami River near Cincinnati. The European-style castle is modeled after many of the castles that Harry saw in Europe following WWI. Built for his Knights of the Golden Trail, a Sunday School/Boy Scout troop, who spent a lot of time outdoors camping on the plots of land donated to the troop, Harry spent over 50 years on the construction of the building. Upon his death in 1981, at the age of 91, ownership of the castle transferred to the Knights of the Golden Trail and knights still guard the castle. The castle features towers, a dry-moat, hand tiled ceilings and a fine collection of period weaponry. Tours of the castle are available April through September and Family Castle Days are held the third Saturday of the month April through August. 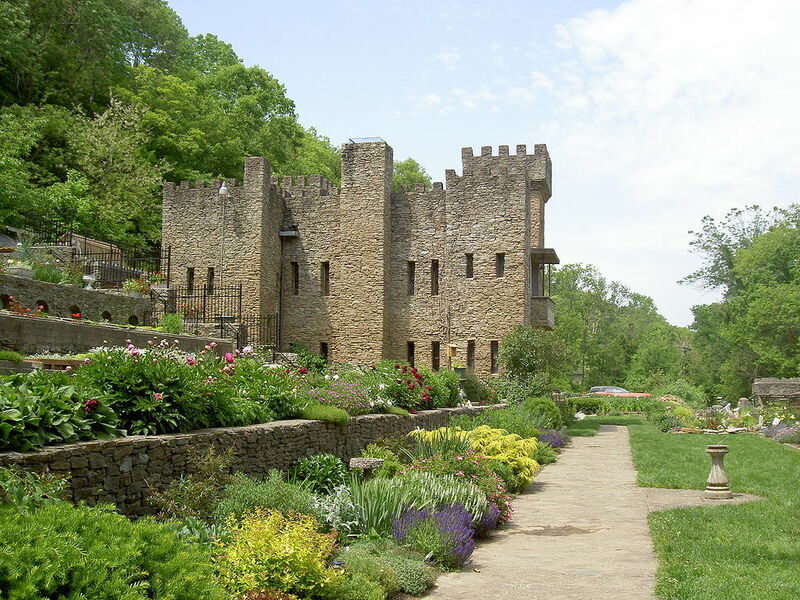 Ravenwood Castle is located in southeastern Ohio, minutes from the popular Hocking Hills State Parks. This unique property features a medieval village, gypsy cottages (during warmer months) and castle rooms for a unique lodging experience. Unplug and enjoy your time away in this B & B style property. You’ll find comfortable sleeping quarters, an onsite pub for food and beverages, a Game Master to introduce you to one of the dozens of board games available for guests, and special theme weekends that range from murder mysteries to beer tastings. Outdoors, you’ll find a giant chess board and pieces to play as well as hiking trails at the nearby state or national forests. Breakfast is served daily in the Great Hall, and reservations are accepted for weekend dinners. Lodging in the castle and village are available year-round, though keep in mind during the snowy winter months, a four-wheel drive vehicle may make it easier to navigate the steep drive leading to the castle. 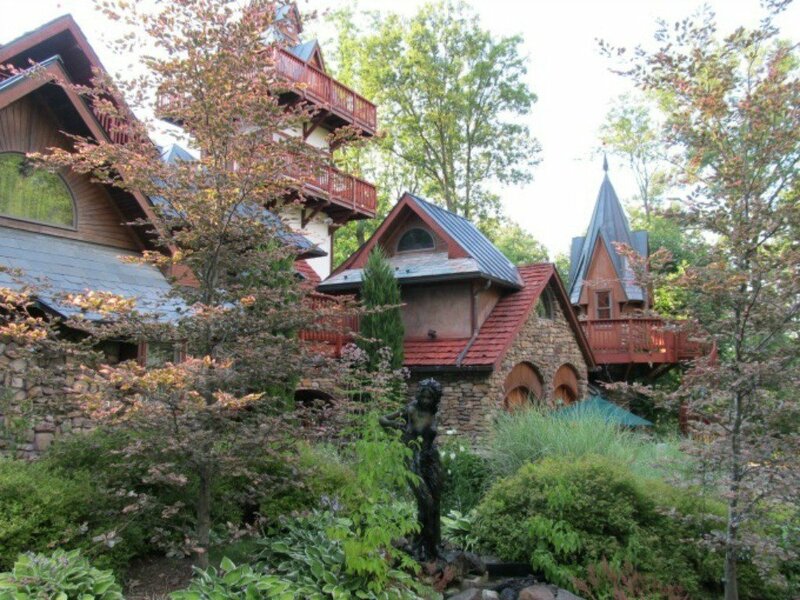 Built in 2002, The property features luxurious castle rooms and suites near Mohican State Park and the heart of Ohio’s Amish Country. Onsite, you’ll find The Copper Mug Bar & Grille which was recently visited by celebrity Chef Gordon Ramsey. The property is a popular venue for weddings and a great location to celebrate special occasions. The castle offers special events throughout the year, including ghost hunts that are held on property. Have you visited any of Ohio’s castles? Which would you like to visit? 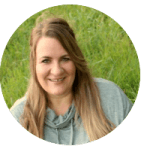 © 2017 – 2019, Tonya Prater. All rights reserved. I never knew there were castles like these in Ohio.I always thought I can only find these type of manor/castles in the UK! I grew up in the Midwest and I never heard of these castles. I will have to check it next time I go home. 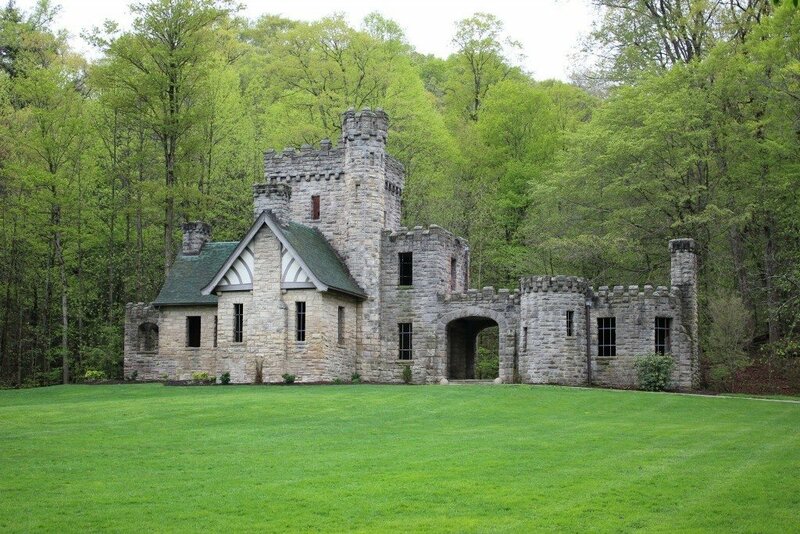 The castle near Mohican State Park is first on my list! Wow. 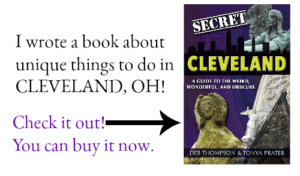 I did not know there were such things in Ohio! This is a must see for me. I have a cousin who lives there. I will ask if she is anywhere close to any of these castles and if she has visited them. Ok, I am in Ohio several times a year and had no idea these castles existed. I am so putting them on my list to visit next time we are there. I always find castles so fascinating and can’t wait to see these in person! I didn’t know that they had castles in Ohio. It would be really neat to spend the night in one.